Selling homes for more money in less time! 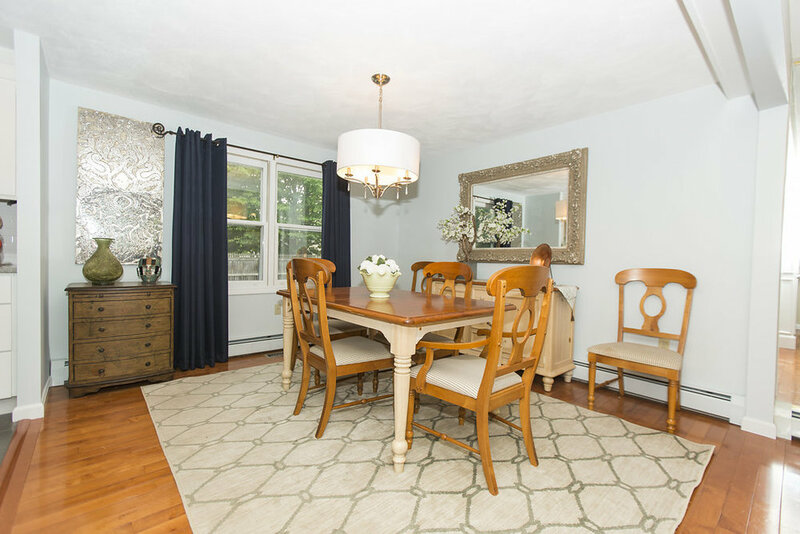 The Power of Design and Staging to Sell! 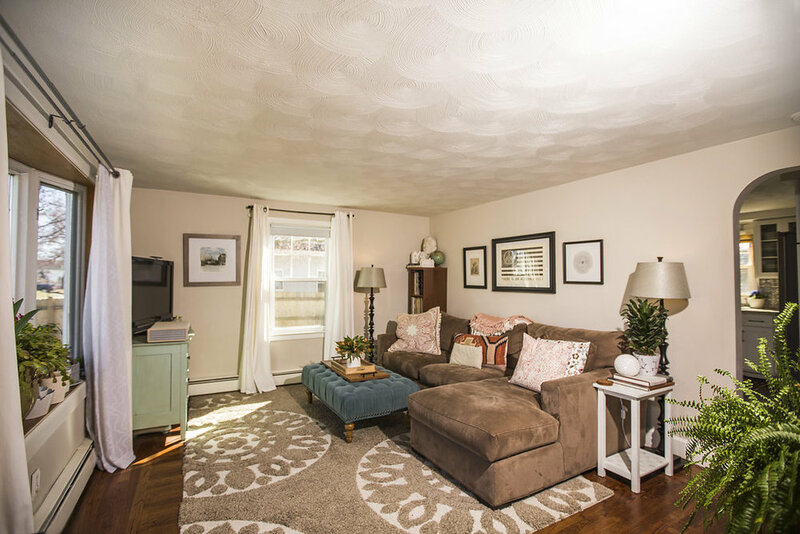 I'm pleased to present my recent project that combined interior design, home staging, pro-photography and proper pricing to yield a sale in less than a day. 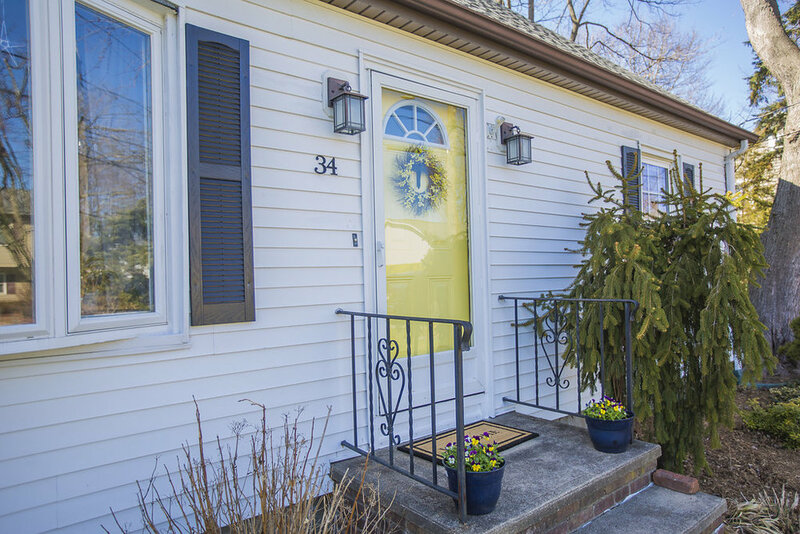 28 Rangeley Road in Cranston was a vinyl-sided, 1,300 square foot home with two bedrooms in a lovely neighborhood. 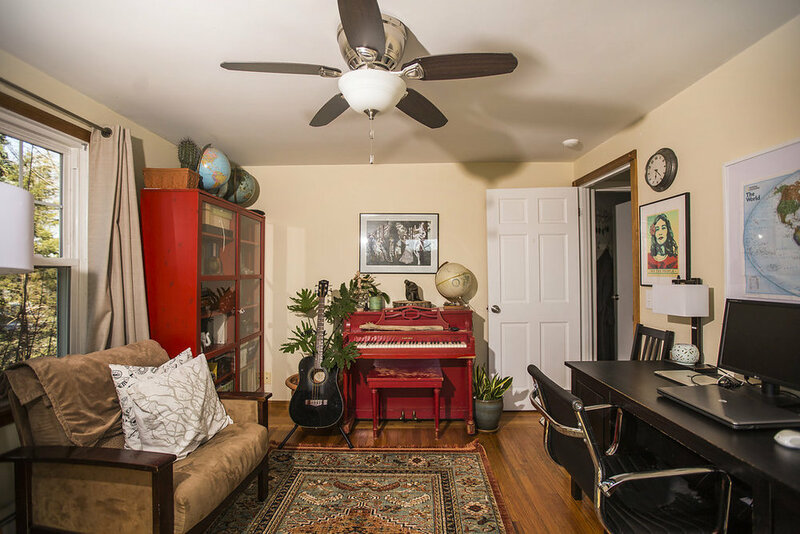 The roof was newer, the garage had been converted to living space, the home was fueled by oil through a very old cast iron baseboard system and lacked A/C, and the rooms were small, choppy, and outdated. 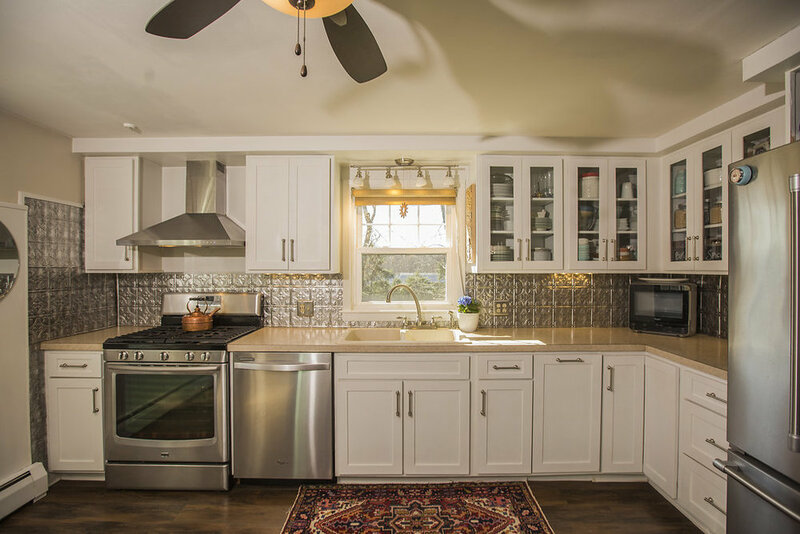 When I bought the home, I immediately sought to reconfigure the main living areas to create a more inviting open floor plan, and update the kitchen and bath with luxe materials, appliances, and fixtures. Most who know me know that my signature move is to knock a wall or two down, put a support beam up, and create a space that's ideal for entertaining--my other passion! The open design plan effectively eliminated the need for the extra 200 feet of living space in the converted garage. I felt a garage would be more appealing to buyers so I designed the space to become a bonus room (mudroom, drop zone, etc.) and a single car garage with entrance into the home--a MUST for our snowy, blustery winters! I designed an eat in kitchen with a large quartz island for serving and dining, forfeiting the "dining area". 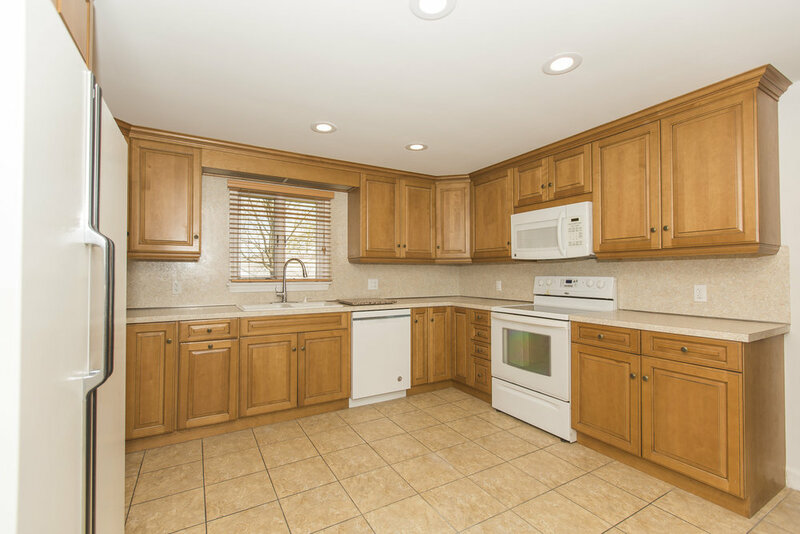 The bonus room was large enough to accommodate a dining table and chairs if really necessary, and I needed the space to fit my new fabulous kitchen! 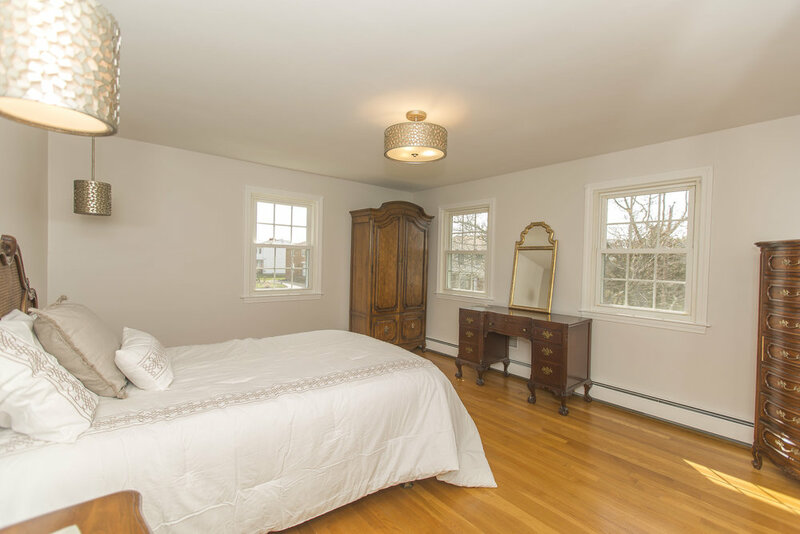 For the bathroom, I removed a closet in a bedroom that jutted into valuable bathroom space and redesigned the layout to create a more practical, larger, beautiful space that exudes luxury. The bath is accented with spa-like tiles, sparkly chrome fixtures, and modern wall sconces. The hardwood floors throughout the home were sanded and stained dark walnut, ready for the new furnishings and accessories--"staging", we call it. It helps potential buyers envision themselves in the space, and where their own furnishings will sit. 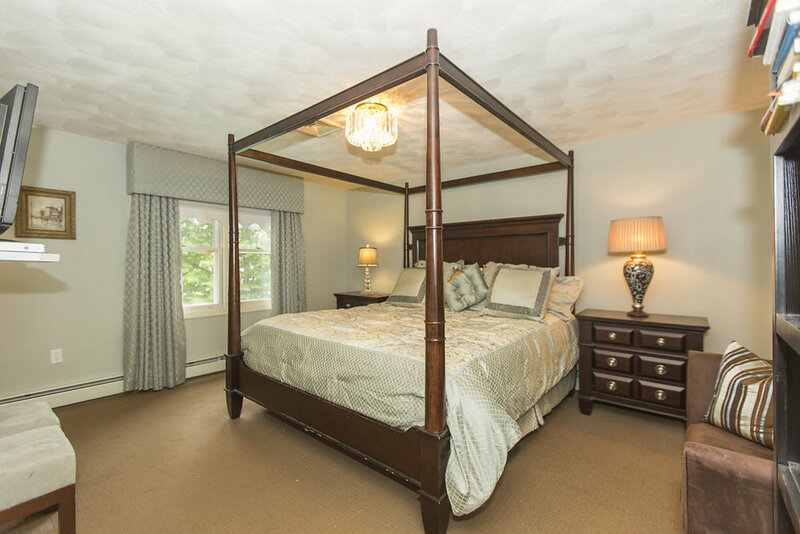 And so, a lovely young couple envisioned themselves living at 28 Rangeley, and within a day made a full price offer. 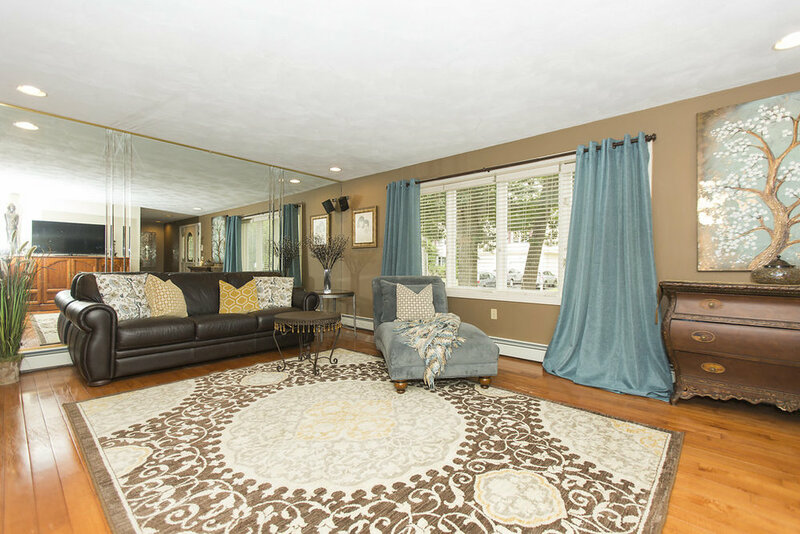 Here are some before and after photos that capture the design and staging. Enjoy! FAMILY LIVING IN GARDEN CITY! 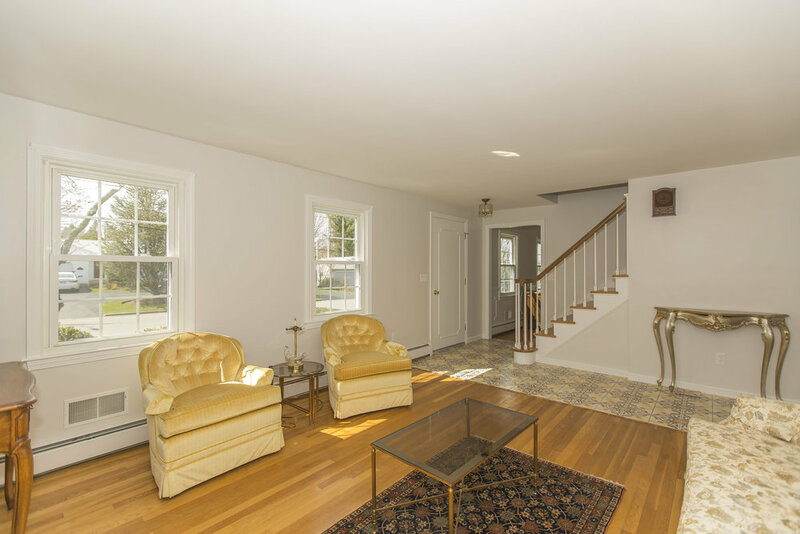 Welcome to this elegant, classic Colonial home just steps away from the boutiques, bistros, summer concerts, and neighborhood camaraderie of Garden City. 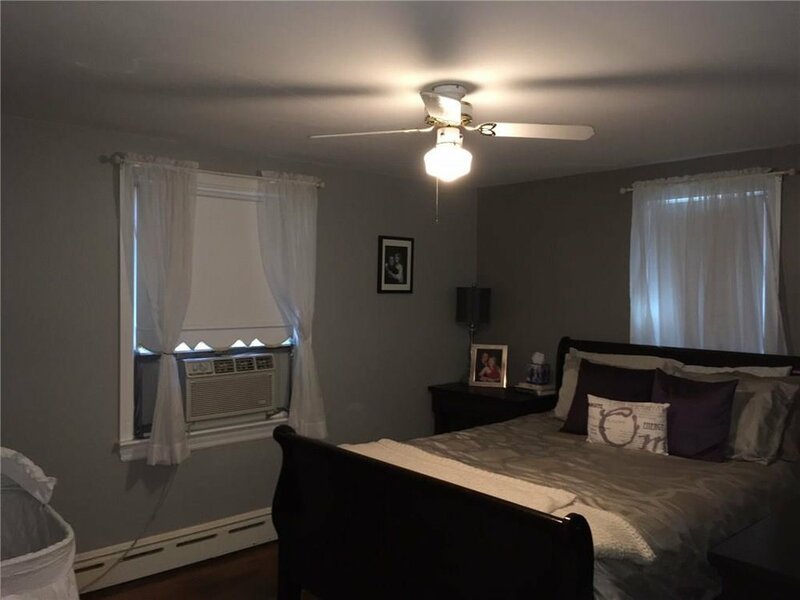 One owner, clean, updated 4 bedroom family home is built with the finest quality construction, and has been attentively maintained over the years. 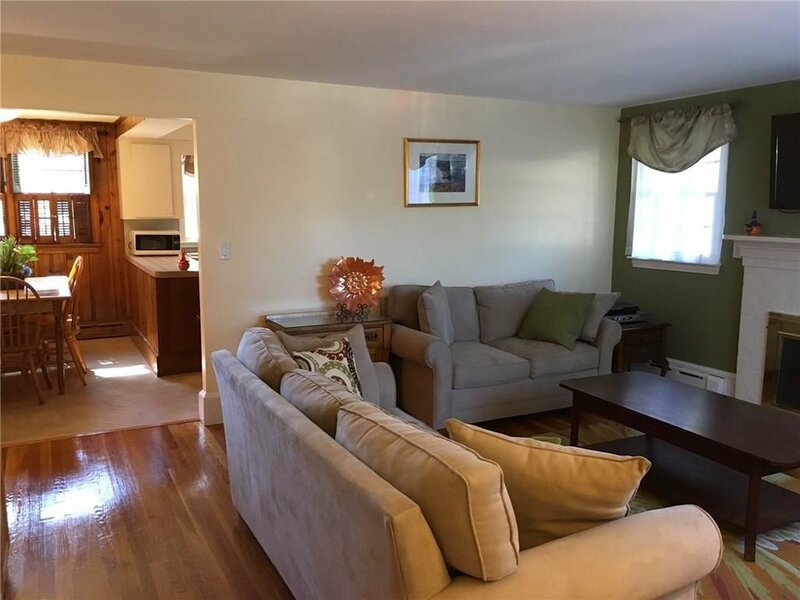 Spacious rooms, hardwoods throughout, newer central air and hot water tank, complete irrigation system, cedar closet, and many more amenities too numerous to mention. Move right in and start making new memories in Garden City! Asking $399,900. 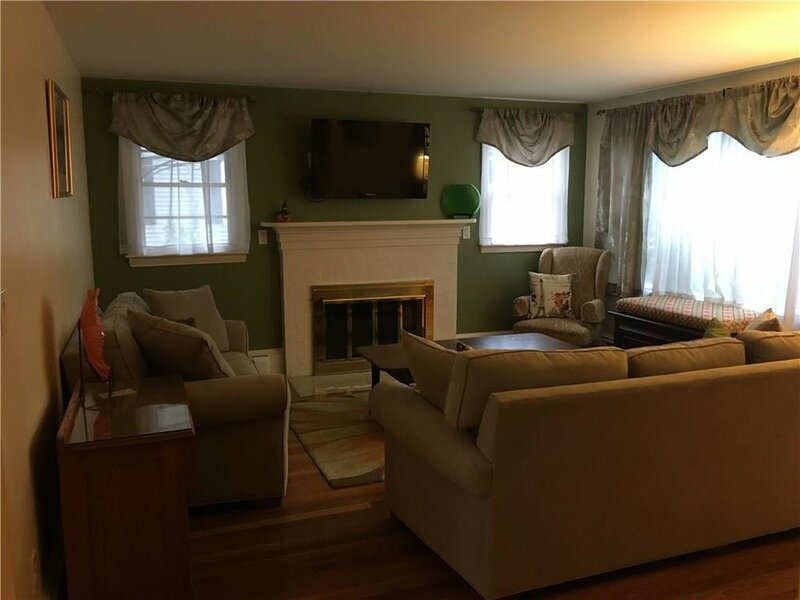 Ring in the New Year in Fine Style with This Garden City Gem! A magnificent and stately gem in much desired Garden City! 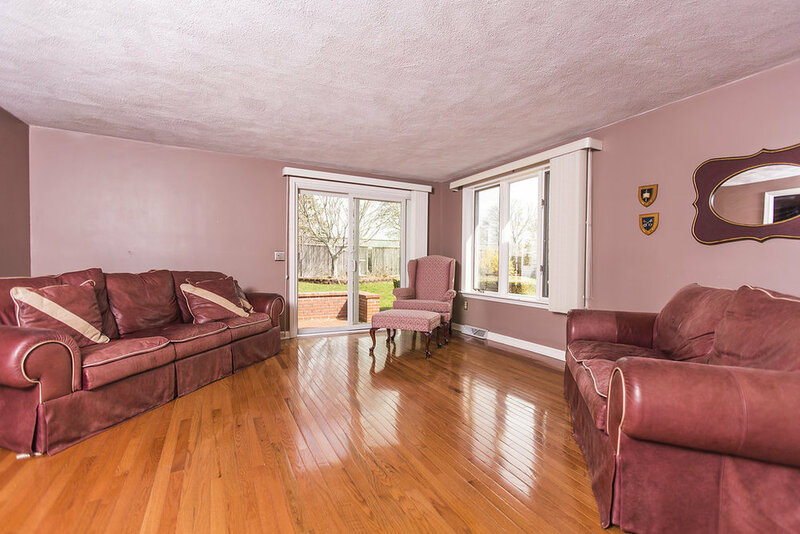 Welcome home to your 2,100 square foot tri-level on a large corner lot. As you walk into the front foyer, you can’t help but look up and admire the vaulted grandeur of the open stairwell, and notice the large formal living room with a gorgeous bay window that floods natural light into the home. Upstairs beyond the landing are 3 bedrooms and a full bathroom with double vanity. 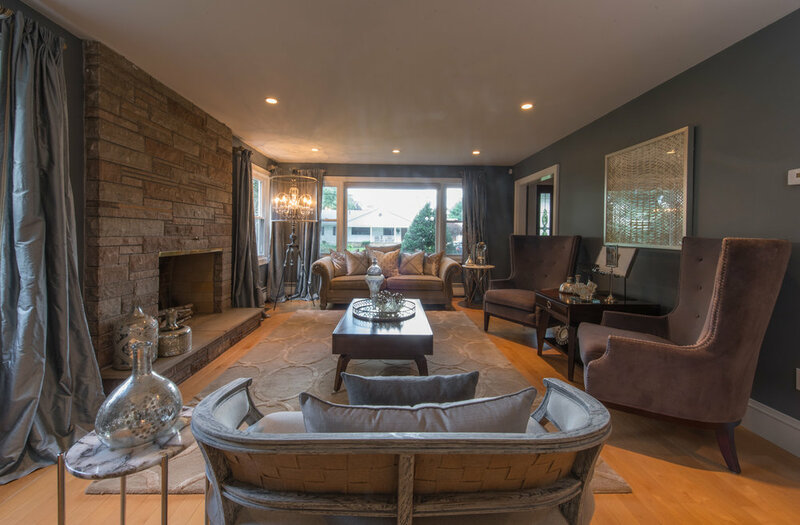 In the lower level enjoy your cozy, wood-beamed family room with a wet bar and impressive fireplace for entertaining family and friends or just curling up during the cold winter months. Off the family room there is a full bathroom and a possible 4th bedroom which would make an incredible master suite should that suit you. There is another full basement for storage with a workbench, a 2-car attached garage with opener, and an outside shed for more storage. 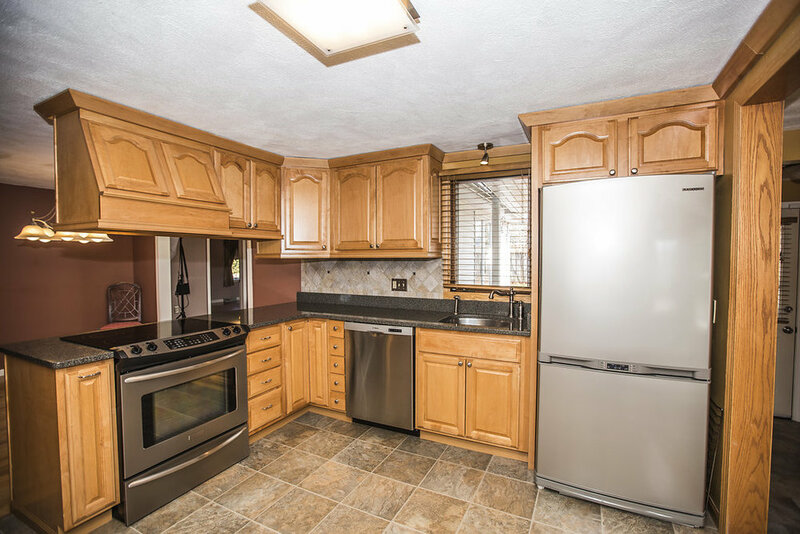 This fine home features quality construction throughout and many structural and mechanical updates, including newer architectural roof, central air, hot water tank, electrical service, sprinklers, security and more. Simply put your modern spin on the decorating, and live happily ever after in this cheerful, established neighborhood within walking distance to the boutiques, restaurants and coffee houses in dazzling Garden City Center. No—”surban” is not a typo. Think of it as the melding of two words to form a new one in the same manner as celebrity name fusion—think Brangelina, Bennifer or Kimye. Surban refers to a suburban area that has the feel of an urban area, with walkability to great retail and restaurants from a house or apartment, and it’s what all the real estate trend predictors are talking about.What Is Surban? Surban is defined as a suburban area that has the feel of urban; it is a blend of the best of urban and suburban life. Urban planners would previously have described these as “mixed-use” areas, but surban is a relatively new term that fits a bit better. There is much being written about the current trend of surban living. The Urban Land Instituteestimates that these areas will draw at least 80 percent of the coming wave of households and will attract the most families in the next 10 years. Noted real estate consultants John Burns and Chris Porter recently authored a book, “Big Shifts Ahead,” and devoted an entire chapter to the surban way of life. From 1950-1980, the real estate profession witnessed the trend of suburbia. Homeowners were moving out of the inner city and relocating in suburban areas. They were willing to sacrifice some incredible commute times to cities and suffer other inconveniences to experience an upscale lifestyle. This was because crime rates in urban areas were high and school performances were low. The 1990s and 2000s brought with it an age of urbanization centered around the renewal of inner cities, development of mixed-use properties in urban areas, increased attention to mass transit, and a renewed focus on downtown condos. However, the economic downturn of the last decade left little job growth in the urban areas. In addition, crime rates are still relatively high, and school rankings and commitments to education remain low. In order to truly understand what is meant by a surban area, let’s examine some specific examples. Think grown-up college campus. A walkable place to dine, work, live and play. Strip mall retail. Less emphasis on giant suburban malls. Let’s start with one of the original town centers. In 1964, an internationally known planned community known as Reston, Va., was founded. When Reston founder Robert E. Simon, Jr., bought the Northern Virginia farmland 20 miles outside of Washington, D.C., he had the vision of developing a community that would embrace walkability, density, access to green space and a diversity of races and income levels. In 1990, Reston Town Center opened. This iconic town center is described by CityLab as “a dense cluster of offices, restaurants and shops, centered on a wide-open plaza with a fountain…a community gathering spot.” Nearly 24 years later, the Silver Line Metro station opened in Reston, which ultimately perfected the interconnectedness of the community and city center by decreasing the need for cars. Today, suburban downtown areas are popping up throughout the country. Though Reston wasn’t the only place developing the blueprint for “surban” developments, it is often referred to as one of the most successful influencers. These types of livable areas are projected to have a profound impact on many areas of real estate in the next several years. Experts predict that surban developments will replace shopping centers. More retail stores will become places that sell experiences rather than goods, and more development will combine housing and retail to satisfy consumer demand for sites that offer convenient car-free shopping. Suburban office demand will also return. As Gen X and millennials move into more senior management roles and start families, many will move from urban cores to the suburbs to live in areas with good schools, but which are also near employment hubs and entertainment and recreational amenities. They will be willing to share space and work remotely. The focus is on rental properties, as rates are expected to surge over the long term. The de-emphasis on ownership will be reflected in soaring demand for rental units. Well over half of the 12.5 million net new households created over the next decade will rent, including those who have never owned, and those making the switch from owning to renting as they age. Some experts believe homeownership will decline, with the national rate anticipated to be 60.8 percent by 2025—the lowest point since the 1950s. As more people join the already large number of retirees, competition for workers will push up wages, contributing to a favorable environment for rent increases. There may also be broader choices in housing options. For the most part, housing areas have historically been categorized based on single-family residences, townhomes, condominiums or multi-family buildings. The development and advancement of surban living have already begun blending housing options in a selected area. It will not be uncommon to find townhomes and condos mixed in with single-family residences. Ownership and rentals will exist in closer proximity to widen the retail base of the homes and provide an array of options for millennials.